FOR IMMEDIATE RELEASE - Songwriter Connect has been launched, with this platform already having several members who are successful songwriters with top hits in the US and Canada. Slots are filling fast as the platform will only be accepting 500 members. Be among of the first fortunate users of this new website which connects songwriters and composers to become well established. The music industry can really be hard to penetrate where composers and songwriters take long years just to have a grand break in the market. Hence, Songwriter Connect is establishing a new way to help these people who want to make it through this kind of industry and make their names be known worldwide. This latest platform will feature several opportunities for music creators to pitch their song to industry contacts looking for a specific sound. Whether an A&R agent is looking for the next hit of Ariana Grande or Justin Timberlake or a label is looking for the debut single of an upcoming artist, you will find the pitching opportunity at Songwriter Connect. The benefit for members is that, if accepted there is no submission fee for each pitch and members will not compete with 1000s of other music creators for one opportunity as only 500 members that had been screened are accepted to be part of Songwriter Connect. Explore the opportunities and sign in contracts, by just showing a unique talent in writing and composing. Apply for membership and let the world hear a magical sound that will make a change. 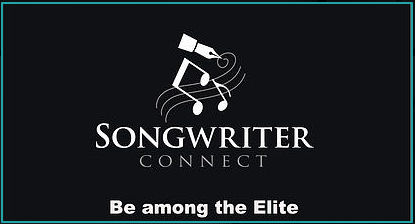 Songwriter Connect is the right place to be! ### For those who are interested about Songwriter Connect, they may visit www.songwriter-connect.com or email them at info@songwriter-connect.com for more details.